Published: June 3, 2014 at 04:29 p.m. 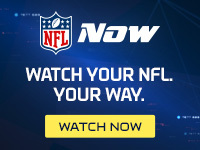 Updated: June 3, 2014 at 08:51 p.m.
No matter who winds up playing quarterback in Tampa Bay, Buccaneers offensive coordinator Jeff Tedford plans to drive fantasy owners insane in the backfield come September. With Doug Martin, Mike James, Bobby Rainey and rookie Charles Sims at his disposal, the team's first-year play-caller is promising to use a committee of runners. "I think you have to alternate," Tedford said Tuesday, per Rick Stroud of the Tampa Bay Times. "... I don't believe that one back can carry the load. It's just too physical. I think you probably need to have two to three guys to bring different things to the table." Translation: Martin isn't likely to climb anywhere near the 368 touches he enjoyed during his Pro Bowl rookie campaign in 2012. The Bucs last season showed their depth after Martin was lost for the year in October. In his absence, Tampa -- behind James and Rainey -- went on to average 144.8 yards per game over the next four weeks (after just 101.2 yards per outing during Martin's six starts). On a team angling to scorch opponents through the air with highly touted rookie targets Mike Evans and Austin Seferian-Jenkins, the days of the workhorse in Tampa look like a thing of the past.